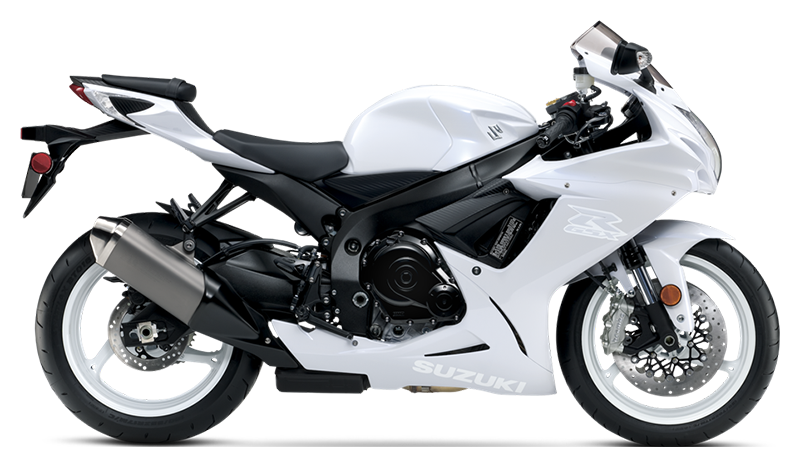 Suzuki GSX-R600 is a class-leading sportbike worthy of its race-winning GSX-R heritage. Whether you’re carving through your favorite canyon or dominating the racetrack, it offers unparalleled performance. A compact, powerful four-cylinder engine demonstrates the advanced race-proven technology of the GSX-R line when you hit the throttle and push it to redline, while supremely refined suspension systems front and rear help provide precise, responsive handling. Wrapped in aerodynamic and lightweight bodywork that’s lifted from the racetrack, the GSX-R600 can not only win races, it can win envy. Lightweight and compact twin-spar aluminum alloy frame is constructed of five cast sections to produce a balance of light weight and strength. The frame is mated with a cast aluminum swingarm and multi-piece rear sub-frame that’s ready for racetrack use. Race-developed, lightweight Showa BPF deliver superb feedback and consistent performance. Single Showa rear shock features externally adjustable rebound and compression damping, along with adjustable ride height. Electronically controlled steering damper provides lighter steering at slower speeds and more damping force at racetrack and highway speeds. Front brakes with fully floating 310mm discs are grasped by radial-mount, four-piston Brembo Monobloc calipers. Three-spoke cast aluminum alloy wheels are shod with lightweight, high-grip front and rear tires for sharp handling. Three-way adjustable footpegs, adjustable shift lever and short fuel tank help compose a comfortable riding position that permits the rider movement required for performance riding. Compact, lightweight instrument cluster with a built-in lap timer/stopwatch and programmable engine rpm indicators to alert the rider to certain shift points. Trim, simple, and lightweight bodywork creates an exciting, aerodynamic style that truly works well at speed. Distinctive multi-reflector headlight with vertically stacked high and low-beam halogen bulbs is centered between position lights on each side. Bright, durable LED tail light, with clear lens. The front turn signal are integrated into the rearview mirrors while the rear tail section houses the rear signals. The lightweight instruments also include an analog tachometer and LCD readouts that show speed, odometer, dual trip meter, reserve trip meter, clock, coolant temperature/oil pressure indicator, S-DMS, and gear position indicators. Attention to rider comfort and confidence includes a carefully shaped seat with a high-grip cover. Compact 599cc, four-cylinder engine with a race-proven over-square bore/stroke ratio that produces remarkably strong high rpm power delivery. The energy efficient engine employs forged pistons, shot-peened connecting rods, chrome-nitride-coated upper compression and oil control rings, and pentagonal ventilation holes to reduce frictional and mechanical losses. Camshafts with aggressive valve-lift profiles were developed using proven MotoGP racing engine technology – the first time this method has been applied to a production Suzuki. Lightweight titanium alloy valves are controlled by single coil-valve springs to reduce valve train mass, reducing mechanical losses at high rpm. Lightweight and durable forged pistons were designed using the same Finite Element Method (FEM) and fatigue analysis technology used for MotoGP racing engines. Suzuki Dual Throttle Valve (SDTV) fuel injection uses eight, fine-spray eight-hole injectors for improved fuel atomization, which contributes to more complete combustion. An Engine Control Module (ECM) provides state-of-the-art engine management and has enhanced settings to suit the intake and exhaust systems, resulting in better fuel economy and linear throttle response. Advanced, MotoGP-developed transistorized ignition control programming helps maintain more precise spark timing across the range of engine speed and temperature. 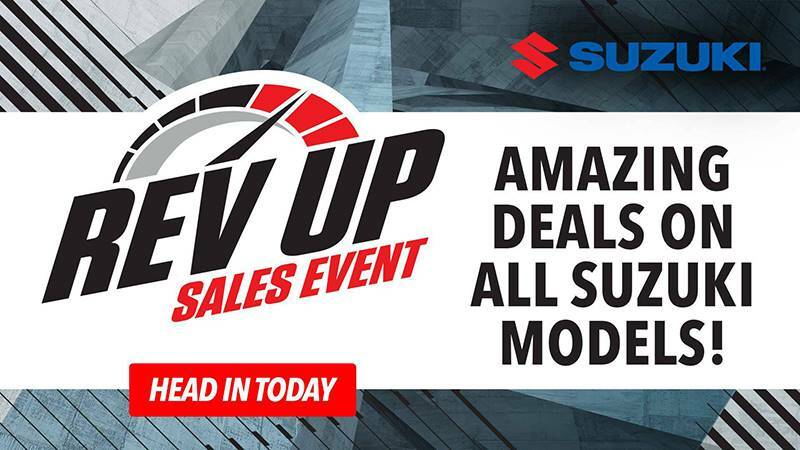 Suzuki Drive Mode Selector (S-DMS) offers push-button selection of two racing-developed engine control maps to suit road or track conditions and personal tastes. Four-into-one stainless-steel exhaust system with a titanium muffler is fitted with a Suzuki Exhaust Tuning (SET) valve that maximizes torque and improves throttle response, especially in the low- to mid-rpm range. The close-ratio six-speed transmission features a taller first-gear ratio and shorter ratios for 2nd, 3rd, 4th and 6th gears, making it easier for a racer to get a good start while improving straight-line acceleration and drive out of corners. Race-proven back-torque-limiting clutch contributes to smoother downshifting and corner entry. Race-ready, iconic GSX-R styling provides sharp looks and a slippery shape with paint schemes for 2019. Riders can choose between Glass Sparkle Black or Pearl Glacier White colors, each with monochromatic graphics and white cast aluminum wheels. 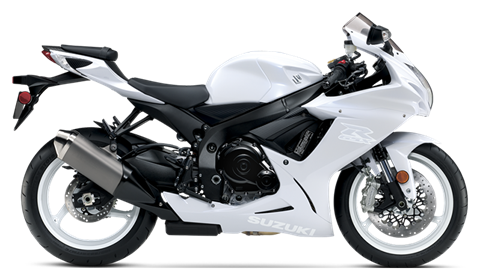 The GSX-R600’s compact, fuel injected, 599cc, four-cylinder engine delivers a rush of power from idle to redline. Located between the frame’s spars, the engine’s top end is canted forward to improve cylinder head charging for increased power output. The Suzuki Drive Mode Selector (S-DMS) lets the rider adjust the engine’s power delivery to suit the riding conditions. The twin-spar aluminum frame effectively connects the steering head with the swingarm pivot portion of the chassis in a way that balances light weight and strength. The engine is suspended below the frame to keep mass low and the wheelbase short to promote nimble handling. The Showa Big Piston front Fork (BPF) and remote reservoir rear shock absorber are fully adjustable to deliver exceptional handling. Twin Brembo Monobloc, radially mounted front brake calipers grasp fully floating stainless steel brake rotors to deliver strong stopping power. Stylized Suzuki “S” 3-D emblems on the fuel tank and the fork upper bracket denotes the quality, sophistication, and performance legacy of the brand. A variety of Genuine Suzuki Accessories for GSX-R owners are available, including a large selection of Suzuki logo apparel. 12-month limited warranty. Longer coverage periods with other benefits available through Suzuki Extended Protection (SEP). (772) 287-1850 3100 SE. CARNIVALE CT.